Aug. 29, 2012, 2:14 p.m. The challenge: Find a way to tell the world these translations are out there. By Adrienne LaFrance @adriennelaf Aug. 29, 2012, 2:14 p.m. Ever try watching Sesame Street in Turkish, or Hindi? Big Bird has made his way to 150 countries, and has been translated into more than 50 languages. Now, PBS NewsHour is working to follow the bird and push some of its newsier content to global audiences. Partnering with the translation platform Amara, the show is crowdsourcing an effort to add subtitles to politics-themed videos, including moments from the U.S. presidential campaigns and short man-on-the-street interviews with American voters. So, for example, now you can watch a video of President Barack Obama talking about a new immigration policy with subtitles in Vietnamese; or the Ukrainian version of Mitt Romney announcing Paul Ryan as his running mate. (Amara, formerly known as Universal Subtitles, is also involved in projects to crowdsource captioning for Netflix films and TED talks.) Since January, PBS NewsHour has built up a community of hundreds of dedicated volunteer translators across the world, and videos have been translated into 52 languages. Because translations are done at the whim of volunteers, the outcome is unpredictable for any given video. As of this writing, for example, Ann Romney’s speech at the Republican National Convention was available in English, French, and…Georgian, a language that has millions of speakers but isn’t usually the first that comes up among translation projects in the United States. Generally, Obama gets more attention from translators than Romney. (It’s understandable that a sitting president would draw more attention than his as-yet-unelected rival.) Some languages are more popular than others. One volunteer in Indonesia is particularly active, which means that many videos have Indonesian subtitles. “The most frequent languages besides English are Spanish, French, Indonesian, Chinese, and Korean,” Joshua Barajas, a production assistant at PBS NewsHour who handles communications with the volunteer translators, told me. Arabic and Turkish aren’t too far behind. And what about quality control, a question that comes up in just about any crowdsourced project? It can be particularly difficult — if not downright impossible — to keep tabs on volunteers who are submitting work in a language you don’t understand. And that’s because the volunteers who are involved are really, really involved. If they see something that’s not right — more often a technological bug or minor translation error than inappropriate conduct — they’re quick to notify the team at PBS, Barajas said. There have been a few kinks to work out on the production side. A syncing issue with subtitles has since been resolved. Quite a few translations get started but not finished. (The video of Romney introducing Ryan lists 17 languages, but only six are complete; Bengali, Korean, Portuguese, Swahili, and Turkish are all less than 10 percent done.) And PBS NewsHour wants to build a more reliable language mix; they hope to partner with language classes at universities to achieve this. But the biggest challenge is impact: how to measure it, yes, but mostly how to make a difference in the first place. The core idea behind the translation project is that “everyone should have access to the political conversation regardless of the language they speak or their ability to hear,” Barajas said. But how do you let people know that these translations are available to them? This is an issue that all newsrooms confront: What good is a great story — in any language — if you don’t have an audience ready to consume it? But most newsrooms aren’t trying to reach a divided global audience in dozens of languages. Still, NewsHour deserves credit for taking on a translation project of this scope. (Even a newspaper that simply directs its readers to Google Translate is going farther than most English language news outlets in the United States.) Ultimately, it appears what PBS NewsHour is really doing is community building. POSTED Aug. 29, 2012, 2:14 p.m.
LaFrance, Adrienne. "PBS NewsHour’s viewers are translating its videos into 52 languages (and counting)." Nieman Journalism Lab. Nieman Foundation for Journalism at Harvard, 29 Aug. 2012. Web. 23 Apr. 2019. LaFrance, Adrienne. 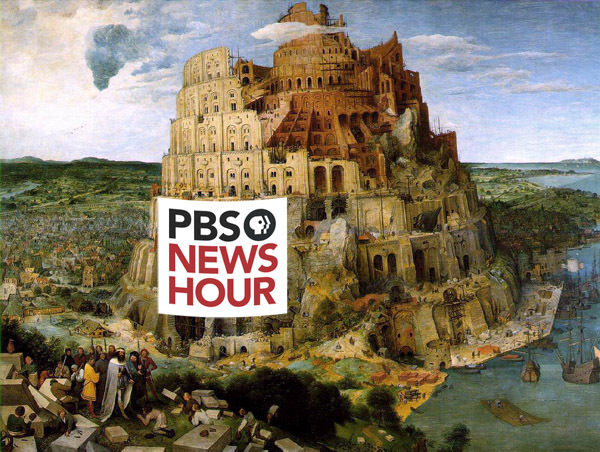 "PBS NewsHour’s viewers are translating its videos into 52 languages (and counting)." Nieman Journalism Lab. Last modified August 29, 2012. Accessed April 23, 2019. https://www.niemanlab.org/2012/08/pbs-newshours-viewers-are-translating-its-videos-into-52-languages-and-counting/.